Celebrate Women in the Outdoors with POST! Join Peninsula Open Space Trust and Sports Basement of Redwood City for an evening of inspiring presentations, snacks and delicious local beer from Blue Oak Brewing Company. We’re proud to present Luana España, Janel Healy, Cori Coccia and Sasha Cox as speakers at our Women in the Outdoors panel. They are excited to share their stories with you! Join us starting at 5:00 PM for browsing, mingling, snacking and chatting. Then, we’ll hear from our speakers during a brief presentation followed by a Q&A session. The program will conclude at 7:00 PM, then attendees will have an hour to shop and enjoy a 20% discount at Sports Basement that same evening! This free event will also host other nonprofits and businesses that encourage outdoor activities. Luana is an Executive Board Member at the Bay Area Ridge Trail. She has been a trail runner for over two decades and loves exploring new trails. In 2016, she circumnavigated the entire Ridge Trail in less than a year. Luana gives back to the trail community through participating in the East Bay Regional Park District’s Multicultural Advisory Committee along with building trails with Volunteers for Outdoor California. Furthermore, Luana also spends time at aid booths for trail races. Janel was born and raised in the San Francisco Bay Area and graduated from the University of Southern California. As well as being a writer, she is also a long-distance hiker. 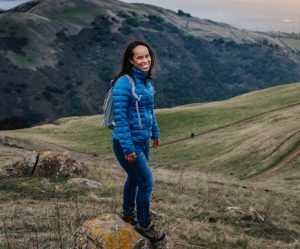 In 2018, she hiked the Pacific Crest Trail and consequently raised funds for three women-run nonprofit organizations. 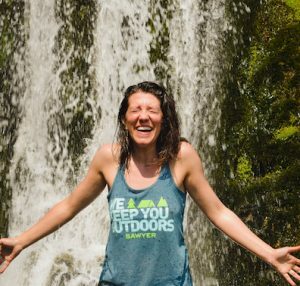 She encourages hikers to find ways to “reconnect to themselves and to the planet.” She has done this by participating in a WWOOF Program in Australia and in addition, works with social media marketing, website development, and content creation that allows her to harness the power of storytelling for social good. 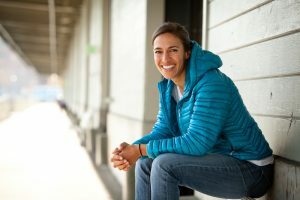 Cori is the Program Director at GirlVentures — a Bay Area nonprofit that inspires girls to lead through outdoor adventure, inner discovery and collective action. As a member of the GirlVentures team, she is able to help dismantle some of the barriers that prevent many groups from enjoying natural spaces. Cori has been a wilderness guide, educator and adventurer since 1999! 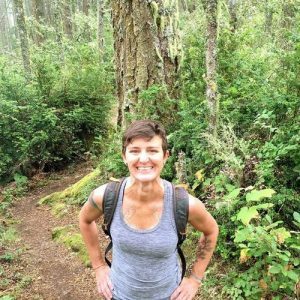 She works with youth and adults to experience more confidence and freedom in themselves through backpacking, climbing, and kayaking. She once added up all her nights in the woods and the total equaled about 3 years. She is an avid solo hiker, desert lover, and a deep believer in the healing and transformative effects of the natural world. Sasha is the founder of Trail Mavens, which empowers women to be the fire-starters, the tent-pitchers, and the map-readers. Trail Mavens seeks to create opportunities for adventure, leadership, and starry-night campfire conversation in the great outdoors. She feels like the best version of herself when she is backpacking, camping, or hiking. Her big “Ah-Ha!” moment came in 2013 when she realized she’d never combined two of her favorite things—communities of strong women and nature—and consequently, the idea for Trail Mavens was born. Peninsula Open Space Trust protects open space on the Peninsula and in the South Bay for the benefit of all. Since 1977, we have preserved over 76,000 acres of open space. Sports Basement of Redwood City is a sporting goods retailer with top quality gear for all your outdoor adventures! They are active in their store-location communities and hope you’ll visit their new store soon! Blue Oak Brewing Company is a local micro-brewery based out of San Carlos, CA. They are named after the Blue Oak Tree, a native species of oak only found in the great state of California. Sports Basement in Redwood City is located at 202 Walnut Street, Redwood City, CA, 94063. From 101 N follow US-101 N to Whipple Ave in Redwood City. Take exit 409, then continue on Whipple Avenue to Convention Way. There is plenty of parking in the plaza!